The Caines Family Photograph Collection exhibits the history of the family, from their life at Clambank to the more recent duck decoy carvings completed by Jerry and Roy Caines. 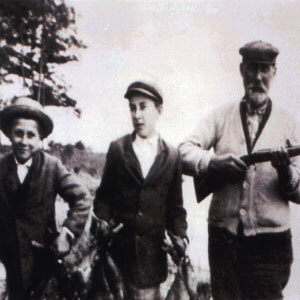 Residents of Georgetown County since the early eighteenth century, the collection includes photographs of both the Caines Brothers and Caines Boys, both known as decoy carvers, fishermen and experts on local waterways. For more information on the Caines family, check out A Native Son’s Story of Fishing, Hunting, and Duck Decoys in the Lowcountry: A Caines Family Tradition by Jerry Wayne Caines.